This is a small, but wonderful museum. 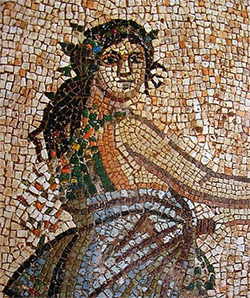 The mosaics alone are worth the visit and the entrance fee – just 2 euro. You can now buy a ticket that will cover you for other local sites. See the link below for a downloadable brochure about the museum – in both Greek and English. This link gives details of the opening hours. It also lists days it is closed for holidays, plus the following free days.